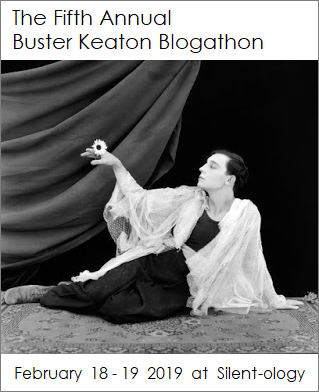 This is a post dedicated to The Fifth Annual Buster Keaton Blogathon which will be taking place over at Silent-ology next month on the 19 February. Tnx Lea for letting me take part! Brief Synopsis – A washed up comedian inadvertently saves the life of a young dancer and they both work together in the hopes of reviving their careers. My Take on it – This is a film that I have been meaning to see for quite some time since I’ve always been a fan of Charlie Chaplin’s silent career and was interested in starting to check out his “talkie-career”. By chance, I noticed that Buster Keaton was in this film, so I decided to use that as the excuse to finally watch this film. This is such a deep and powerful Chaplin film because he is able to create such complex characters who seem so genuine in all that they say and do. It’s quite easy to understand why they chose to do certain things along the way based on that, we can see what they are going through as they do all they can in order to become stars. 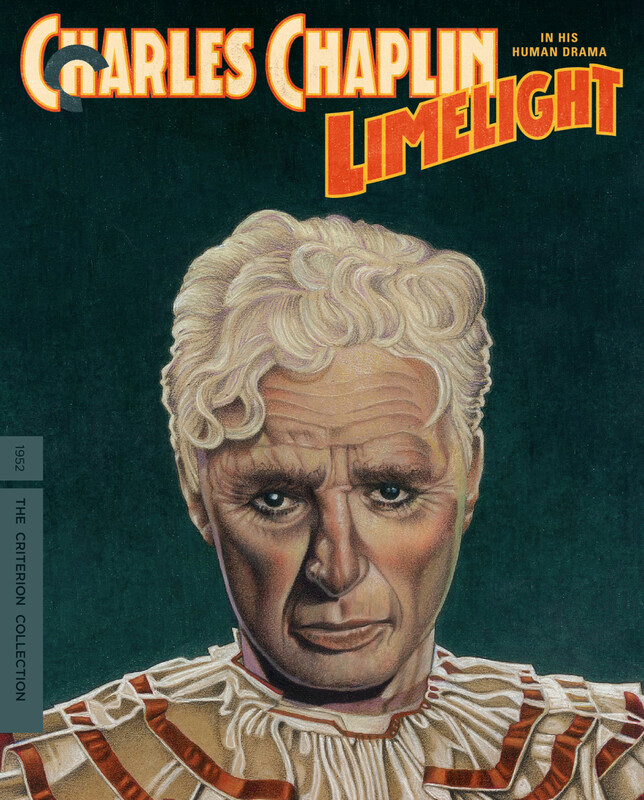 Chaplin write this role perfectly for himself and even manages to throw a few ‘jabs’ at his career in the silent era with some great one-liners. Buster Keaton has a small yet very significant role in this film and despite not having much to do, he and Chaplin work quite well together as comedic partners. Chaplin also has great chemistry with the lead actress Clair Bloom an we can see how effective this chemistry can be especially when trying to determine why these two should feel drawn to one another yet at the same time also understand why Chaplin’s character is sure that they will never work together no matter how hard they try. This is a film that does a wonderful job mirroring parts of Chaplin’s life and allows us much insight into the possible thoughts of this comic genius as he contemplates what is in store for him in the future in this business called show business. Bottom Line – Excellent Chaplin film that does so much right. The characters are developed quite well and we can completely understand what they both are going through and why they would act the way that they do. Chaplin is perfect in this role and even manages to throw slight jabs at the viewer by referencing his silent film career. Keaton has a small yet significant role as Chaplin’s comedic partner and the two of them work quiet well together The chemistry between Chaplin and Bloom is extremely effective and we can get a clear sense of why they are drawn to one another yet also understand why Chaplin knows that it will never work between them because of so many varying factors. This film also mirrors Chaplin’s life and allows us to get insight into the thoughts of this comic genius as he contemplates his future in the entertainment industry through the use of the character. Highly Recommended! Buster and Charlie together is a treasure. Legend is that Chaplin curtailed Buster’s contribution because he was a little too good. Nevertheless, it’s a poignant, moving film in the twilight of Chaplin’s career and he did a wonderful thing by including Buster. Good review. I find the movie a little long-ish but never less than fascinating. And of course, there’s the wonderful “duet” with Chaplin and Keaton. Limelight is such a wonderful film! Though persistent urban legend claims Chaplin cut down Buster’s scenes, he actually heavily edited them to feature Buster more prominently, and gave Buster free reign to do what he wanted (extraordinary considering Chaplin’s notoriously rigid directorial style). This is not my most favourite Chaplin’s film, but the sequence with him and Keaton alone makes it work seeing. Fine article! Chaplin seems to have put a great deal of himself into LIMELIGHT–musings on his career, on fame, on philosophy–and I find it quite touching. The most touching scene of all, of course, is Buster and Charlie performing together. What a treat! !